Includes the names: Chris Hedges, Chris Hedges, Chris v Hedges, Chris Hedges, et.al. Chris Hedges has 1 media appearance. On June 14, Pullitzer Prize-winning reporter and writer Chris Hedges will be joining us to discuss his new book Days of Destruction, Days of Revolt. In this book, Hedges and co-author Joe Sacco travel to the depressed pockets of the United States to report on recession-era America. What they find is a thriving neofeudalism. With extraordinary on-th-ground reportage and illustration, Days provides a terrifying glimpse of a future for America and the nations that follow its lead - a future that will be avoided with nothing short of revolution. Pulitzer Prize-winning author and journalist Chris Hedges is now a senior fellow at the Nation Institute and Truthdig columnist. In Days of Destruction, Days of Revolt, Hedges and Sacco (the book’s illustrator) show us what life looks like in places where the marketplace rules without constraints, where human beings and the natural world are used and then discarded to maximize earnings. Hedges will speak about poverty in the U.S. and read from his work and then engage in a conversation with the Reverend Jeremiah Wright. Book signing and reception to follow. Women & Children First is pleased to be the bookseller at this event. The pillars of the liberal class--the press, universities, the labor movement, the Democratic Party, and liberal religious institutions--have collapsed. In its absense, the poor, the working class, and even the middle class no longer have a champion. Chis Hedges argues that the Death of the Liberal Class created a profound vacuum at the heart of American politcal life, a void being filled by speculators, war profiteers, and demagogues (from militias to the Tea Party). Chris Hedges discusses Death of the Liberal Class. Chris Hedges discusses The Death of the Liberal Class. Chris Hedges discusses Downstairs at Town Hall; enter on Seneca Street..
Chris Hedges , American Fascists: The Christian Right and the War On America. Chris Hedges reads from Collateral Damage: America's War Against Iraqi Civilians. Chris Hedges , War Is a Force that Gives Us Meaning. 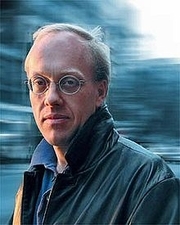 Chris Hedges is a fellow at The Nation Institute and spent nearly two decades as a foreign correspondent in Central America, the Middle East, Africa and the Balkans. He has reported from more than 50 countries and has worked for the Christian Science Monitor, NPR, the Dallas Morning News, and the New York Times, for which he was a foreign correspondent for 15 years. Hedges was part of the team of reporters at the New York Times awarded a Pulitzer Prize in 2002 for the paper's coverage of global terrorism. He also received the Amnesty International Global Award for Human Rights Journalism in 2002. Hedges, who writes a weekly column on Truthdig, was honored by the Los Angeles Press Club as the Online Journalist of the Year in 2009, and won the Best Online Column Award in 2010 for his Truthdig essay, "One Day We'll All Be Terrorists." Hedges has taught at Columbia University, New York University, and Princeton University. He currently teaches inmates at a correctional facility in New Jersey. Hedges began his career reporting the war in El Salvador. Following six years in Latin America, he took time off to study Arabic and then went to Jerusalem and later Cairo. He spent seven years in the Middle East, most of them as the bureau chief there for the New York Times. He left the Middle East in 1995 for Sarajevo to cover the war in Bosnia and later reported the war in Kosovo. Afterward, he joined the Times's investigative team and was based in Paris to cover al-Qaeda. He left the Times after being issued a formal reprimand for denouncing the Bush administration's invasion of Iraq. He has written numerous books, including Days of Destruction, Days of Revolt (Nation Books, 2012), The World As It Is: Dispatches on the Myth of Human Progress (Nation Books, 2013), Death of the Liberal Class (Nation Books, 2010), Empire of Illusion: The End of Literacy and the Triumph of Spectacle (Nation Books, 2009), and American Fascists: The Christian Right and the War on America (2008). His book War Is a Force That Gives Us Meaning (2003) was a finalist for the National Book Critics Circle Award for Nonfiction. Hedges holds a BA in English literature from Colgate University and a Master of Divinity degree from Harvard University. He was awarded an honorary doctorate from Starr King School for the Ministry in Berkeley, California. In addition to writing a weekly original column for Truthdig, he has written for Harper's magazine, the New Statesman, the New York Review of Books, The Nation, Adbusters, Granta, Foreign Affairs, and other publications. Chris Hedges is currently considered a "single author." If one or more works are by a distinct, homonymous authors, go ahead and split the author. Chris Hedges is composed of 5 names. You can examine and separate out names.